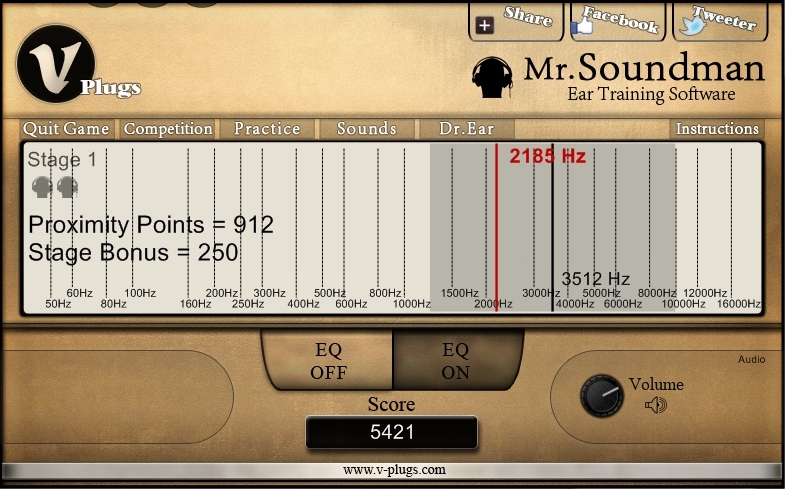 V-Plugs has introduced Mr. Soundman, a challenging free ear training game for music producers and sound engineers. Mr. Soundman is a powerful tool for assessing and improving frequency detection, a critical skill for mixing, recording and producing music. It also enables users to win excellence awards and prizes, and to compete with colleagues and friends around the globe. The game: Mr. Soundman behaves a bit like an arcade game with an intuitive GUI, and rapidly increasing difficulty. The basic concept is simple: Mr. Soundman plays an audio source with a noticeable boost somewhere across the frequency range. The mission is to identify the boosted frequency. The closer the answer is to the boosted frequency the more points the user gains. As the game progresses the ‘right answer range’ becomes narrower, so users have to provide more precise answers. The game starts with a wide ‘right answer range’ of 3 octaves, but only the best will get to the ¼ octave zone. Prizes, awards and competitions: Depending on their score, users can win three excellence awards: the Bronze Ear, the Silver Ear and the Golden Ear award. Each of these awards grants a special prize. 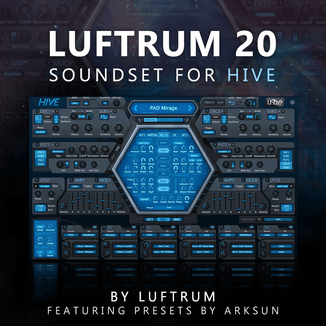 The ambitious user can also participate in Mr. Soundman’s special competitions that will be announced from time to time, and compete with other music producers and sound engineers around the globe. 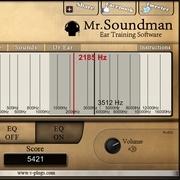 Mr. Soundman premium: The premium version of Mr. Soundman gives an advanced ear training solution for those who want to take audio ear training a step forward. It offers more sound sources (and sound categories), focused training sessions, and even a hearing test. It also enable the user to load his own sounds, to build and manage his personal practice folder, and to work on and improve certain aspects of his listening skills. Mr. Soundman is available as a standalone application or as a VST plugin for Windows. The basic version is free, and the premium version costs 29 EUR.